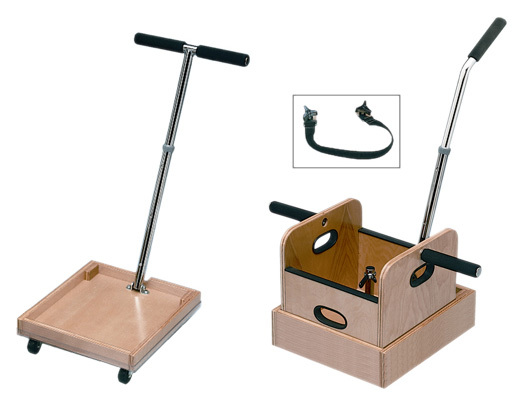 Weight sled and accessory box designed for functional capacity evaluation (FCE) of an individual's material handling activities within work hardening programs. The weight sled is designed to simulate everyday work motions. With the gradual addition of weights you can control the resistance and the strengthening treatment for shoulders, backs, hips, thighs and calves. Weight sled measures 18" wide x 36" long. Handle adjusts from 32" to 44" high. Foam covered grips. 4 removable weight holders. Weight capacity 250 lbs. Chrome plated. Natural finish. To use the accessory box with weight sled, simply remove the weight holders and insert the accessory box. Accessory box measures 15" wide x 30" long x 6" high. Inside dimensions of accessory box: 14" x 22 1/2 long. Removable rubber mat. Natural finish. Dimensions: 36" x 44" x 18"
Weight sled for functional capacity evaluation (FCE) of an individual's material handling activities within work hardening programs. The weight sled is designed to simulate everyday work motions. With the gradual addition of weights you can control the resistance and the strengthening treatment for shoulders, backs, hips, thighs and calves. Weight sled measures 18" wide x 36" long. Handle adjusts from 32" to 44" high. Foam covered grips. 4 removable weight holders. Weight capacity 250 lbs. Chrome plated. Natural finish. Can be used with optional accessory box (sold separately). Accessory box designed for functional capacity evaluation (FCE) of an individual's material handling activities within work hardening programs. The accessory box with weight sled, simply remove the weight holders and insert the accessory box. Accessory box measures 15" wide x 30" long x 6" high. Inside dimensions of accessory box: 14" x 22 1/2 long. Removable rubber mat. Natural finish. 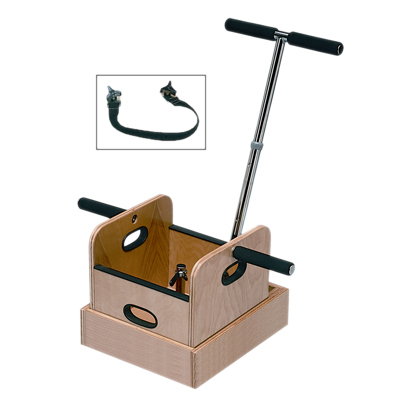 The accessory box can be used in conjunction with the heavy duty weight sled (sold separately). 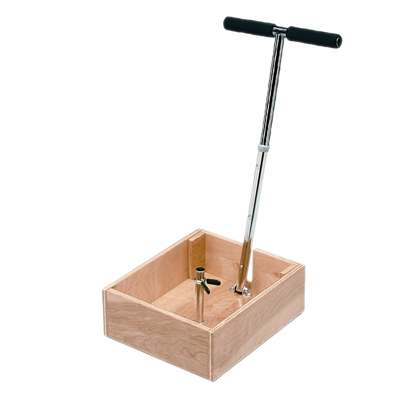 Dimensions: 15" x 6" x 30"
Accessory box and push cart with T handle for work stimulation, conditioning and evaluation. Strap, foam covered hand grips and hand slots for lifting. Cart promotes push/pull activities. Box is 13.5 x 13.5 x 12". 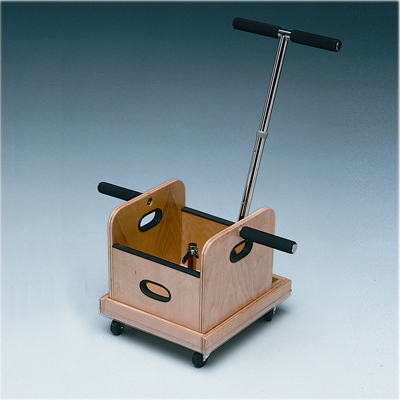 Cart is 17 x 14 x 4.75" with 2" casters; T-handle adjusts 32-44" high; removable weight holder with weight keeper; 10 lb. empty, 80 lb. capacity. interchangeable box measures 16 x 13.625 x 6"; anti-friction runners. Dimensions: 17" x 4.75" x 14"
Push cart with T handle for work stimulation, conditioning and evaluation. Strap, foam covered hand grips and hand slots for lifting. Cart promotes push/pull activities. 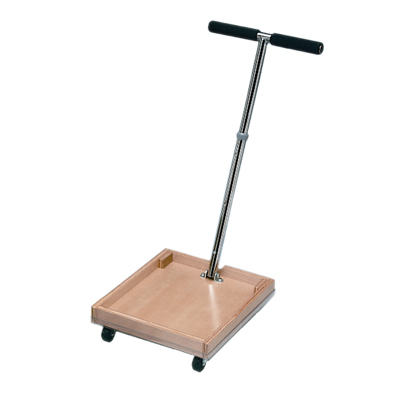 Cart is 17 x 14 x 4.75" with 2" casters; T-handle adjusts 32-44" high; removable weight holder with weight keeper; 10 lb. empty, 80 lb. capacity. 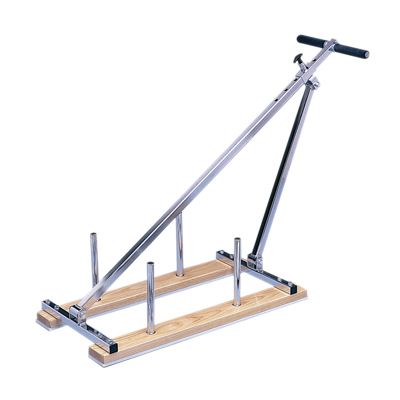 Companion sled can be used alone or with work device; anti-friction runners. Can be used with accessory box (sold separately). Accessory box and push cart with straight handle for work stimulation, conditioning and evaluation. Strap, foam covered hand grips and hand slots for lifting. Cart promotes push/pull activities. Box is 13.5 x 13.5 x 12". 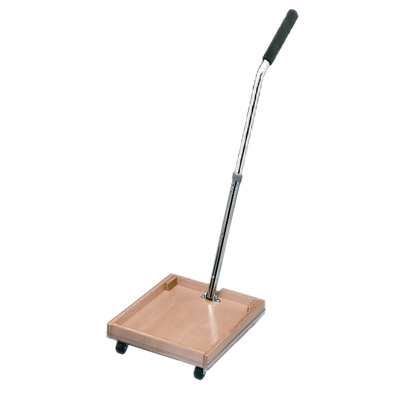 Cart is 17 x 14 x 4.75" with 2" casters; straight handle adjusts 36-48" high; removable weight holder with weight keeper; 10 lb. empty, 80 lb. capacity. Anti-friction runners. 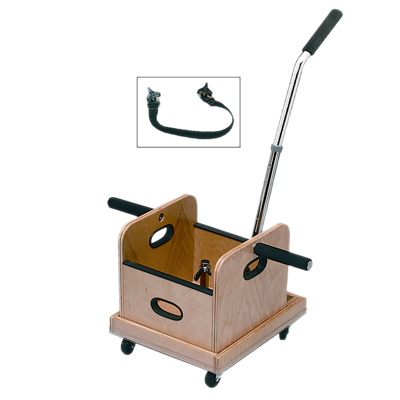 Push cart with T handle for work stimulation, conditioning and evaluation. Cart promotes push/pull activities. Cart is 17 x 14 x 4.75" with 2" casters; T-handle adjusts 32-44" high; 10 lb. empty, 80 lb. capacity. Companion sled can be used alone or with work device. 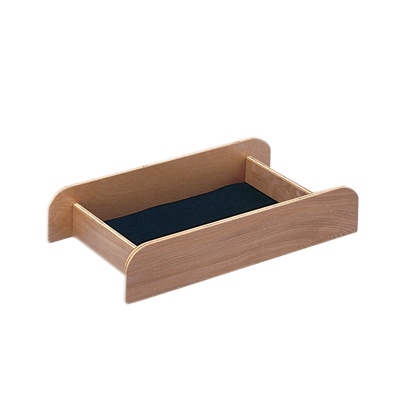 Can be used with accessory box (sold separately). 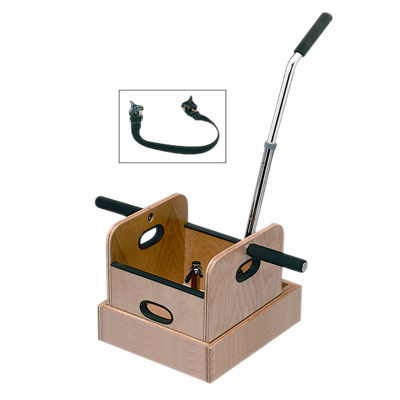 Accessory box and sled with T handle for work stimulation, conditioning and evaluation. Strap, foam covered hand grips and hand slots for lifting. Sled promotes push/pull activities. Box is 13.5 x 13.5 x 12". Sled is 16 x 13-5/8 x 6"; T-handle adjusts 32-44" high; removable weight holder with weight keeper; 10 lb. empty, 80 lb. capacity. interchangeable box measures 16 x 13-5/8 x 6"; anti-friction runners. Dimensions: 16" x 6" x 14"
Sled with T handle for work stimulation, conditioning and evaluation. Sled promotes push/pull activities. Sled is 16 x 13-5/8 x 6"; T-handle adjusts 32-44" high; removable weight holder with weight keeper; 10 lb. empty, 80 lb. capacity. anti-friction runners. Can be used with accessory box (sold separately). 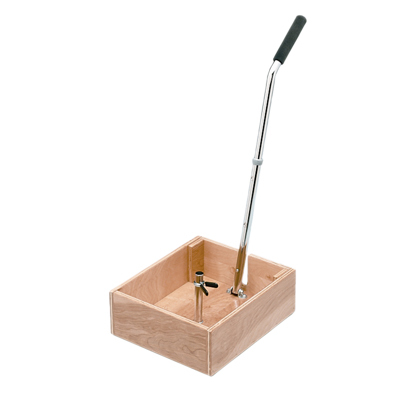 Accessory box and sled with straight handle for work stimulation, conditioning and evaluation. Strap, foam covered hand grips and hand slots for lifting. Cart promotes push/pull activities. Box is 13.5 x 13.5 x 12". Sled is 16 x 13-5/8 x 6"; straight handle adjusts 36-48" high; removable weight holder with weight keeper; 10 lb. empty, 80 lb. capacity. Anti-friction runners. Sled with T handle for work stimulation, conditioning and evaluation. Strap, foam covered hand grips and hand slots for lifting. Cart promotes push/pull activities. Sled is 16 x 13-5/8 x 6"; T-handle adjusts 32-44" high; removable weight holder with weight keeper; 10 lb. empty, 80 lb. capacity. 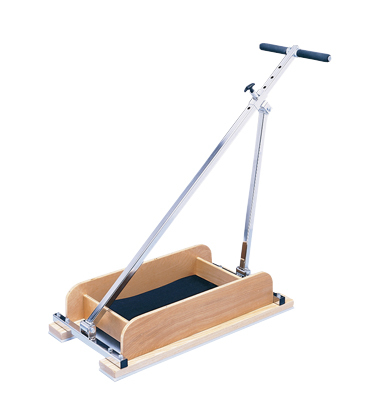 Companion sled can be used alone or with work device. Anti-friction runners. Can be used with accessory box (sold separately). Includes push cart with T handle, accessory box, and sled with straight handle for work stimulation, conditioning and evaluation. Cart promotes push/pull activities. Push cart is 17 x 14 x 4.75" with 2" casters; T-handle adjusts 32-44" high; removable weight holder with weight keeper; 10 lb. empty, 80 lb. capacity. Strap, foam covered hand grips and hand slots for lifting. Box is 13.5 x 13.5 x 12". Sled is 16 x 13-5/8 x 6"; straight handle adjusts 36-48" high; removable weight holder with weight keeper; 10 lb. empty, 80 lb. capacity. Anti-friction runners. Dimensions: 13" x 12" x 13"